Intel have confirmed they’re struggling with their 10nm tech and that it is now behind the competition’s 7nm designs. The 10nm node is struggling to materialise into any actual product, which has been highly suspected for some time. Intel’s Ice Lake processors are still nowhere to be seen on current roadmaps, and their eighth generation Cannon Lake processors are almost non-existent. Ready to bite the bullet and buy a new processor? Here are the best CPUs for gaming around. The journey to the 10nm lithography has been bumpy and delayed for Intel so far, with consistent delays and push backs meaning the first iteration of 10nm – Cannon Lake – has been relegated to mobile chips that supposedly Chipzilla have launched, we just have no idea when and where. 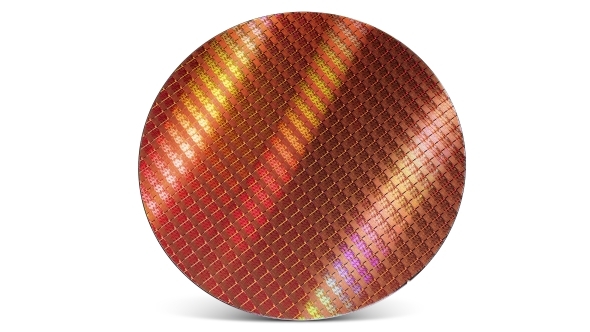 At the International Solid State Circuits Conference (ISSCC) an Intel engineer confirmed what many have been suspecting, that their 10nm process node is behind the competition’s at “within 15 percent of the smallest reported 7nm cell.” Samsung, TSMC, and GlobalFoundries, are all working on smaller, higher density process nodes, with the latter two chip-makers’ 7nm tech laying the foundations for AMD’s Navi, 7nm Vega, and Zen 2 chips. Despite Intel claiming competitors’ process node naming schemes do not 100% accurately reflecting the physical density, this latest news from inside Intel’s manufacturing corps seems to indicate the contrary. We’ve also seen a GPU-less Cannon Lake processor out in the wild, which could be indicative to the difficulty Intel are running into with the 10nm shrink. Intel’s Ice Lake technically entails the second generation 10nm+ microarchitecture, and was taped in June 2017 – meaning that the final design was sent off for manufacturing – although Intel have kept quiet regarding the expected ninth generation processors since. While technically the second node in Intel’s Process -> Architecture -> Optimisation model, it seems likely that Ice Lake will not manifest as a new architecture, due to the continuation of the ‘Lake’ suffix. We have seen a small glimpse of a potential Ice Lake processor part, although so far only the iGPU. The initial leak on SiSoft Sandra indicates Execution Unit parity with Kaby Lake Iris Plus graphics components, although with a 300MHz bump in clockspeed to 600MHz compared to the 300MHz of the current generation parts. Intel’s CEO, Brian Krzanich, has also confirmed the eventual shrink to 7nm sometime after 10nm has been the go-to process for mass manufacturing. Considering how long 14nm has stuck around, I wouldn’t recommend holding your breath for these miniscule transistors within consumer desktop chips anytime soon. With the eighth generation processors supposedly utilising three different architectures, Coffee Lake, Kaby Lake R, and 10nm Cannon Lake, we could potentially see the same approach going into the ninth generation. Intel’s next-generation of processors aren’t currently indicated on any roadmaps we’ve seen so far, so we will likely have to wait until this time next year for any new microarchitectures to launch. Of course, we do have that Z390 chipset mystery still lurking sometime late-2018… or was that just a mass shared delusion between the world’s motherboard manufacturers?